Luka Sabbat is teaming up with Foot Locker and ASICS for a new capsule collection that will be powered by a five-episode anime series, for which he voices the main character. 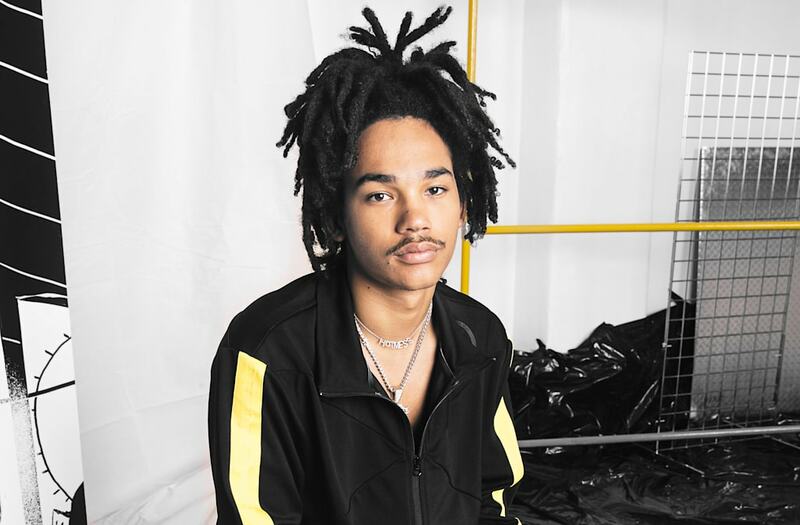 The model and "Grown-ish" actor stars in the "Welcome to the Dojo" campaign, which includes apparel and footwear in a black-and-yellow colorway. The low-key influencer, who has become one of the leading street style trendsetters of this era, caught up with AOL's Gibson Johns during a recent photo shoot for the collection, where he explained which opportunities he agrees to say "yes" to these days. "Do you want the politically correct answer or the real answer?" Sabbat said with a laugh. "It always has to have creative integrity. Fact. I don’t do sh-t that I have no choice in. Two, money. I love money. I’m 20 years old, so I’m really into that right now. And, also, I just get sh-t and I go, ‘That ain’t it,’ or, ‘Sure, let’s do it.’"
Creative integrity, money and "something new" -- those are the factors that Sabbat considers before committing to something, so this new "Welcome to the Dojo" campaign involving an anime series, titled "The Sun and the Snake," was something that piqued his interest immediately. "I had never done voiceover before. It's different than acting: It's easier, but a little weirder," he explained of voicing his character, Sneaker Samurai. "Nobody is filming you, so you're just in a room doing these weird motions while talking." And, as he said, he "used to watch anime as a kid all the time," so he can "tick [voicing an animated character] off the list" of things that he's done in his career. The ASICS "Welcome to the Dojo" Pack will be available at Foot Locker locations starting August 24. The first episode of "The Sun and the Snake" will premiere on August 21.